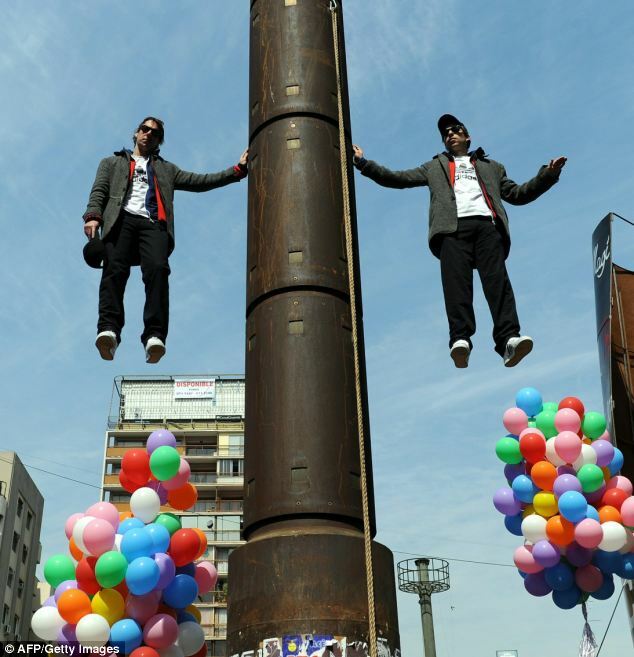 A pair of Chilean twins have broken the world levitation record by hovering above the ground for an extraordinary 200 minutes. Nicolas Luisetti and John Paul Olhaberry staged the event in Chile's capital Santiago to mark the country's 200th anniversary. 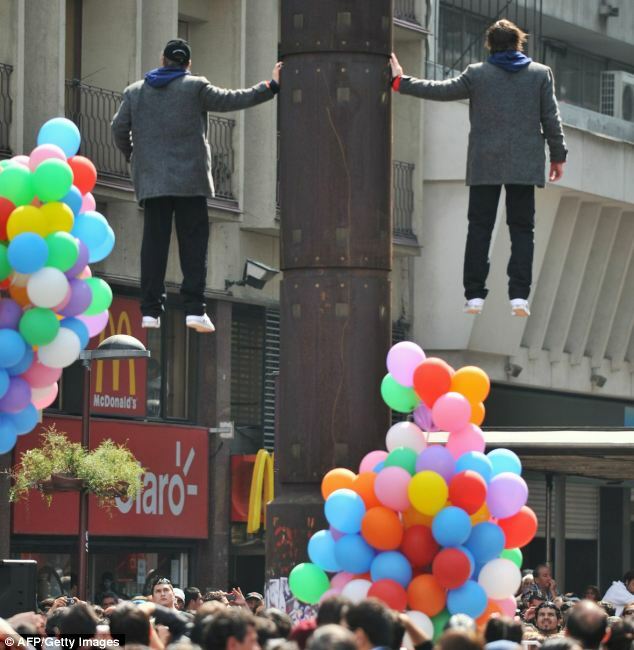 The magic twins stunned thousands of passers-by as they floated above the city's streets. Their only visible support was a post which each had one hand placed on. The feat, which involved the pair levitating seven metres above the ground, was broadcast on a giant screen as traffic was brought to standstill. The crowd gathered below suggested a number of different explanations for how the twins may have carried out the stunt, including having some sort of iron bar through their clothing and attached to the pole. The twins are already considered the most famous illusionists in the country. The pair have made numerous television appearances in the past and are set to carry out further high-profile events to mark the country's anniversary. Their stunts are similar to those carried out by U.S magician David Blane who became famous for his extraordinary levitation trick. Nation-wide celebrations for Chile's bicentenary are set to take place on September 18.